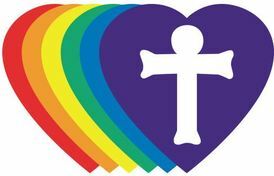 Christ the Servant Lutheran Church is a member of the Evangelical Lutheran Church in America. We are a community drawn from a variety of places and life stories. Brought together by God’s grace, we encourage one another as we strive to live out our callings to be disciples of Christ Jesus. The life of our Church is centered in our worship. As we share music and word and song, we experience the Living Christ – speaking to us through the scriptures, present before us in our neighbor, and witnessed to the world as we stand shoulder to shoulder at communion and as we live our faith in our service in the world. We are a Reconciling In Christ Congregation! We welcome all who want to grow in the grace and love of Christ Jesus. We are continually learning what it means to be welcoming to all. We are committed to care for, to love, to understand, and to listen to each other – regardless of ethnicity, age, sexual orientation, gender identity, physical or mental or social or economic status. Please let this web site be an introduction to the life of our congregation – and an invitation to join us!